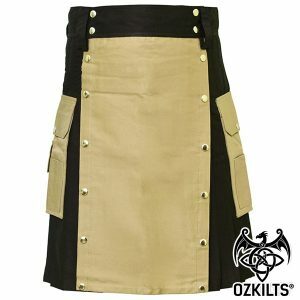 Our Rave Utility Kilt comes with a Reflective Hi-Vis Lime/Yellow Strip. 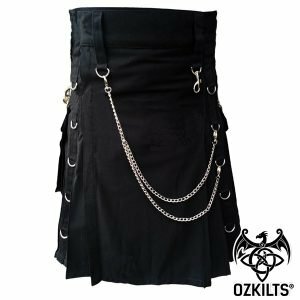 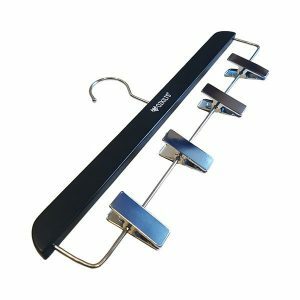 It offers our standard ethically sourced faux-leather strap system which allows for adjustment of the kilt size for a perfect fit at all times! 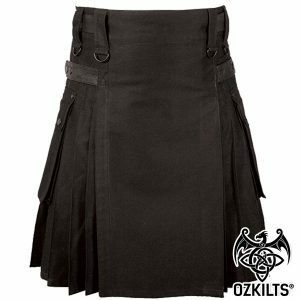 All our kilts are handmade with 100% Cotton.